A hearing check before starting school is always a good idea. 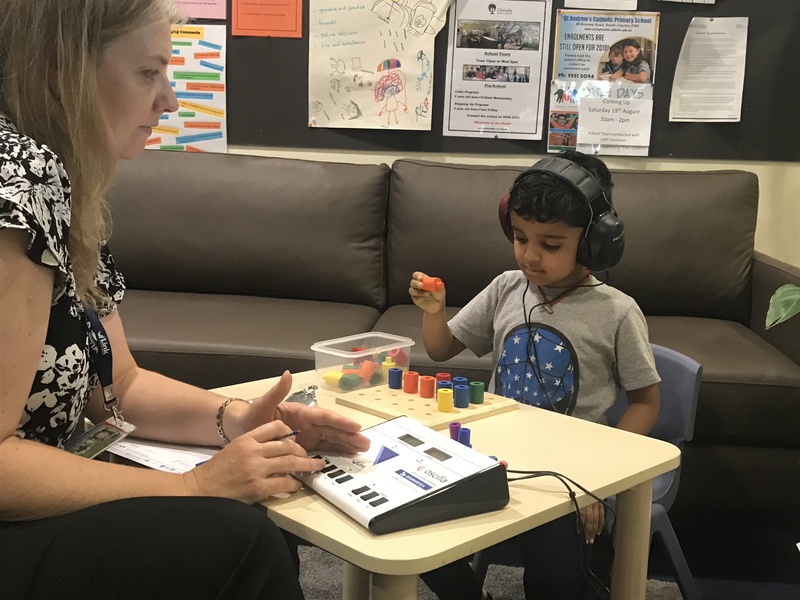 As part of Link HC’s new outreach program, its audiologist Lisa Gleeson visited Clayton Preschool on 15th November and provided free onsite hearing checks to 40 children, to help four and five year old kinder kids become school ready. Lisa will be visiting another three kindergartens before Christmas, with more planned in the New Year. Hearing loss in young children is easy to miss – they may seem to ignore you, or need instructions repeated more often than usual. The signs can often be quite subtle. If a hearing loss is left undetected, it has the potential to impact a child’s learning and social skills development. All babies born in Victoria have a hearing screening test before they go home from hospital. However, many hearing losses develop later, and a hearing test may not be routinely considered. By visiting kindergartens directly, Lisa is able to reach children who otherwise may not receive this service. Pictured above is Vihaan from Clayton Preschool, getting his hearing tested by Lisa Gleeson. If a hearing loss is detected, the audiologist will then offer a follow-up comprehensive hearing assessment at Link HC’s Oakleigh site, or provide advice and referral information to other services. Find out more about Link HC’s audiology services. Thank you for your comment. Your message has been sent onto our audiology department.